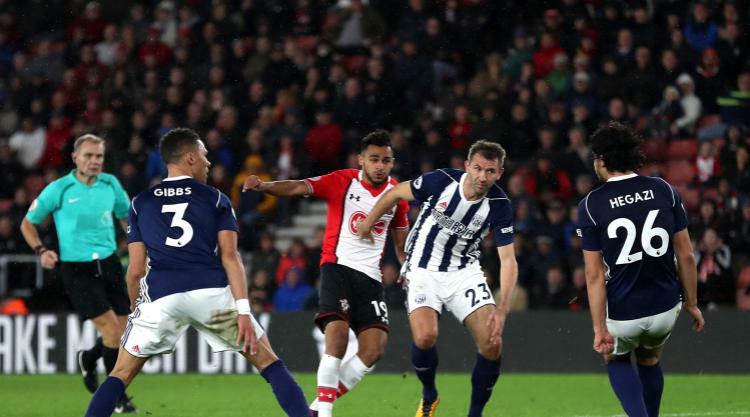 Sofiane Boufal vowed to build on his wonder goal against West Brom and cement a place in the Southampton team. The Moroccan midfielder has been mainly limited to a substitute role this season, but he made the most of his latest cameo against the Baggies. Four minutes after coming off the bench on Saturday, Boufal embarked on a mazy run from deep inside his own half. He beat six players, leaving three on their backsides, before finishing into the corner to secure a 1-0 victory for Saints. "When I went past one or two players I felt confident, and the rest of it just felt natural," Boufal told the club website. "I'm so happy with the goal - for my family and all the people who have helped me in the difficult moments. "Sometimes you have good moments and sometimes you have bad moments, but the most important thing is to be confident in yourself. "I hope the best is still to come. I hope this goal will help me for the future with Southampton. "I just want to think about the future and work hard. It's very important to work harder in the difficult moments." As well as a seventh game without a win, Albion boss Tony Pulis has an injury crisis to contend with after Jonny Evans, Gareth Barry and Craig Dawson limped off. Pulis is awaiting the results of scans on the trio with defender Dawson the main worry. "Craig's problem is the one that concerns me most," said Pulis. "His knee was locked but we're not sure whether that's from a kick or something muscular. "We know for sure that Craig wouldn't come off unless he was in trouble. "Jonny felt his groin but hopefully that will not prove too serious and we have got to it in time." Midfielder Barry went off at half-time with a back problem, and Pulis added: "We were a bit worried that might be connected to a hamstring issue and so it was best for Gareth to come off."